Technology is supposed to make life easier, not busier and ever more complex. 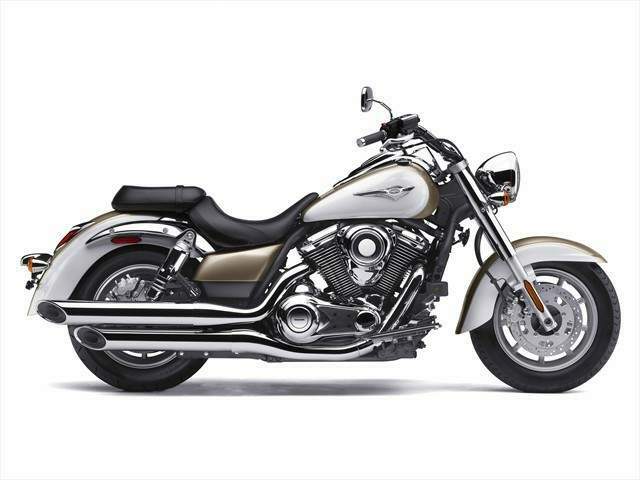 Kawasaki’s new Vulcan® 1700 Classic cruiser employs the right amount of technology with a dose of old-fashioned simplicity to allow the rider to focus on the experience and not the machine. Its lighter, more compact frame holds a new engine utilizing a high-tech electronic throttle valve. Transferring the healthy torque output to the road is a new six-speed transmission with overdrive and super strong carbon fiber drive belt. 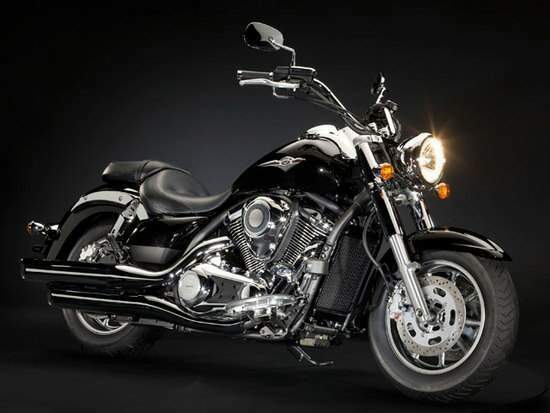 Building upon its Vulcan 1600 roots, the 1700 features a newly designed 1700cc engine based on the mighty Vulcan 2000. However, it uses a single overhead cam in each cylinder head rather than a push-rod actuated OHV arrangement. This permits faster revving and helps the Vulcan 1700 to provide quick acceleration and deliver superior passing performance at highway speeds. The new engine’s increase in compression, displacement and long-stroke design means significant torque and power gains over its predecessor. On the technology front, the new Vulcan 1700 features Kawasaki’s first fully electronic throttle valve system, which together with the fuel injection system offers smooth, natural engine response. The electronic throttle valve enables the ECU to deliver an ultra-precise metering of both fuel and air to the engine. It also provides accurate cold-engine idling speed control, reduces rider fatigue and retains the “natural” throttle feel. The system utilizes dual sensors; an Accelerator Position Sensor (APS) on the throttle body and a Throttle Position Sensor (TPS) on the throttle. Both of these sensors feed data to the ECU, which in turn adjusts the throttle plates with exacting precision. The system is capable of functioning on one set of data alone, offering redundancy in the unlikely event of a sensor failure. More cutting edge technology is found on the Vulcan 1700’s fuel injection system. Like the systems in use on Kawasaki’s Ninja® 650R and Vulcan 900 motorcycles, the 1700’s FI utilizes one sensor in place of the usual three, for less complexity and weight. Besides the obvious advantages of FI like improved fuel economy, the system permits easy hands-off starting. The cruising-oriented Classic features FI and exhaust tuning to deliver the peak torque and horsepower at lower rpm – ideal for the urban and back road environments. Mated to the ground-breaking engine is a new six-speed transmission featuring overdrive. The sixth gear functions as an overdrive gear, contributing to relaxed riding and better fuel economy at highway speeds. Transferring the power from the transmission to the rear wheel is a carbon fiber final drive belt. With a 40-percent higher tensile strength than current Kevlar units, the Vulcan 1700 is able to use a thin and light 28mm belt. However, this is no cold, mechanical techno-marvel. The designers were able to infuse the abundant technology into the new Vulcan 1700 Classic with all the charm and visual appeal expected on a Kawasaki cruiser. This meticulous attention to detail and exquisite craftsmanship of the engine covers and bodywork design result in a product that turns heads whether parked in front of a café or cruising down the highway. This rolling showcase of workmanship and care not only looks good from any angle, but its elegant form is as pleasing to the touch as to the eye. Designed from the start to be as light and slim as possible, the new single backbone double cradle frame uses the minimal amount of forged parts and metal for a reduction of 4.4 pounds and a rigidity increase of 40-percent. With a shorter seat to steering head distance, the new lightweight chassis is more compact and shorter overall with a correspondingly decreased wheelbase. The easy-to-reach handlebars facilitate better low-speed maneuvering and contribute to greater rider confidence and comfort. Adding to the light and easy handling of the low weight chassis design are the new suspension components – set to match the Vulcan 1700 Classic’s cruiser performance. A simple but elegant rear steel tube swingarm suspension with twin air-assisted shocks provides 3.1 inches of travel, and includes air adjustable spring preload and rebound adjustment. Up front, a large 43mm fork offers precise steering feedback, four-way preload adjustment and 5.5 inches of travel. The Vulcan 1700 rolls on new nine-spoke cast wheels, which use tubeless tires and complement its new muscular styling. Mounted on the attractive wheels are a 130/90 front radial tire and a wide, 170/70 rear radial tire. These aren’t the giant size tires that can "dull" handling, but beefy treads that offer good traction, smooth ride and good style. Dual 300mm front disc brakes with twin-piston calipers and a single 300mm rear disc brake with a two-piston caliper bring this show to smooth, powerful stops. Kawasaki has subtly merged traditional styling with sophisticated technology in a fashion to appeal to a broad spectrum of riders with its new Vulcan 1700 Classic cruiser. - APS and TPS send two sets of signals to the ECU for system redundancy in the unlikely event of a sensor failure. 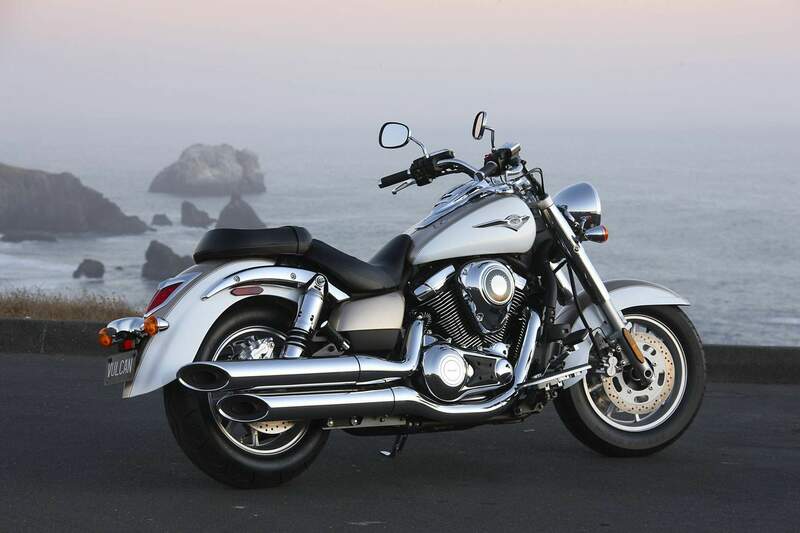 - Basic engine structure has a great impact on a V-Twin engine’s appearance. - The line created by the top of the airbox and the cylinder heads forms a curved lined that continues to flow through the bike. - Deeply chromed engine covers have curved upper surfaces. Their three-dimensional form adds volume and gives a quality appearance.